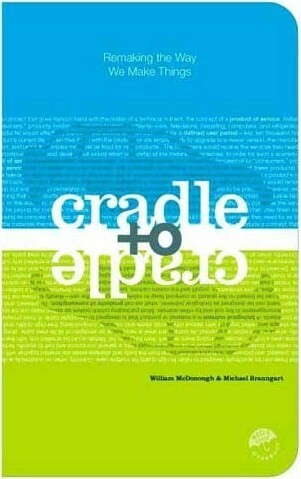 When William McDonough and Michael Braungart released their book Cradle to Cradle: Remaking the Way we Make Things in 2002, few could predict their ideas would have such a wide-reaching impact on the world of business. However, the Cradle to Cradle principle provided a much-needed blueprint for companies to incorporate the principles of sustainability into their business models and paved the way for a new certification system based on a products entire life cycle. The book has since been translated into 12 languages and become required reading for numerous college courses based on sustainability. 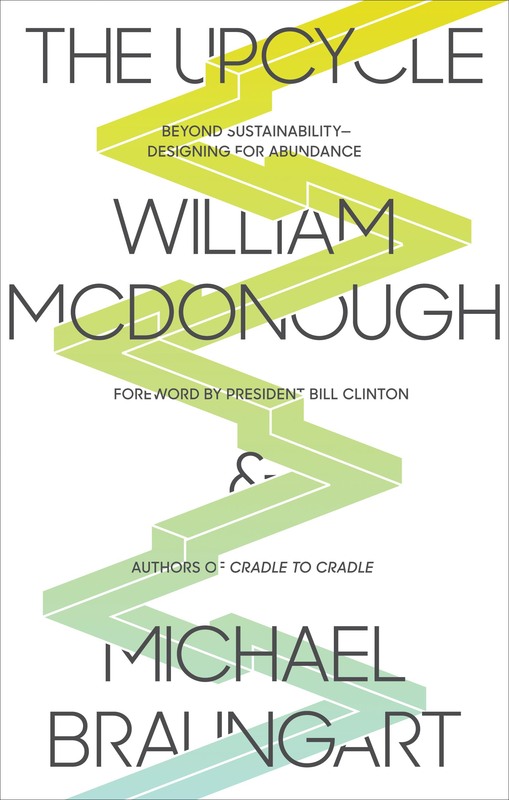 Nearly ten years after the publication of Cradle to Cradle, McDonough and Braungart have released yet another landmark book called The Upcycle: Beyond Sustainability – Designing for Abundance. Instead of simply rehashing the same ideas presented in the original book, they have taken the Cradle to Cradle philosophy and expanded it even further: rather than simply protect the planet from human impact, we should redesign economic development so that it improves the planet. But before delving too much into their latest offering, let’s take a look at McDonough and Braungart themselves and how their environmental ideas eventually came to fruition. Who Are William McDonough and Michael Braungart? In the early 1990s, Bill McDonough was a successful American architect with a particular interest in ecological design. Michael Braungart was a German chemist who studied industrial production processes and co-founded the chemistry section of Greenpeace. When the two met in 1991 at an Environmental Protection Encouragement Agency reception in New York, they realized that by combining their expertise, they could lead the charge for sustainable industrial design. They published their first book, Hannover Principles of Design: Design for Sustainability, in 1991. It set out some of their initial ideas on designing buildings and products with environmental and social sustainability in mind. Then in 1995 they established McDonough Braungart Design Chemistry (MBDC), a firm dedicated to helping companies implement ecologically-minded design principles in their business models. The title of their book is derived from the “Cradle to Cradle” concept, which is the idea that production systems should be modeled after natural systems. As such, all the materials used in production should be viewed as nutrients circulating in a closed loop cycle mimicking how nature operates. Therefore, no waste should be generated. Instead, the output from production should consist only of materials that can either be reused in the system or that pose no negative impact when released into the environment. However, one of the key components of incorporating the Cradle to Cradle concept in business models is that by eliminating waste, a company can actually save money. Therefore, the Cradle to Cradle concept can be both environmentally and economically beneficial. McDonough and Braungart eventually decided to take the Cradle to Cradle concept further by devising a certification system with which to rank and evaluate products. Much like LEED certification ranks the sustainability of buildings, Cradle to Cradle certification ranks products in terms of their environmental and social sustainability. In order to achieve certification, a product must meet the minimum criteria in five categories: material health, material reutilization, renewable energy and carbon management, water stewardship, and social benefits. Once a product achieves the minimum requirements, it is given one of five rankings, ranging from basic to platinum based on how well that product promotes an ideal Cradle to Cradle world. The Cradle to Cradle certification system has now become a prestigious rating system for companies at the forefront of sustainability. Given that 10 years have now elapsed since the publication of Cradle to Cradle, one can imagine that McDonough and Braungart have had some time to expand on their initial sustainability principles. Unsurprisingly, they still espouse modelling business models after natural systems to ensure zero-waste production. However, at the forefront of The Upcycle is the idea that business models should actually work to improve the planet, rather than just reuse resources with greater efficiency. Rather than consider one life of a product, businesses should consider the next five lives of a product. Therefore “zero-waste” is the bare minimum companies should work towards when designing production systems. By actually improving the environment through production, both economic development and the natural environment can flourish. Of course one does not often encounter such an optimistic approach in the environmental literature these days. But McDonough and Braungart present a convincing argument that the principles presented in Upcycle can achieve widespread adoption. The book is filled with numerous inspiring examples of how companies have taken the Cradle to Cradle principle to the next level while improving both the environment and their bottom line. In the end, the Cradle to the Cradle principle is not some abstract scientific theory that looks better on paper than it does in practice. More and more companies are receiving Cradle to Cradle certification as technology improves and consumers demand greener products. This demand for greener products has especially become apparent in the food packaging industry, which is often criticized for its wastefulness and neglect for the environment. Be Green Packaging is the first food packaging company to achieve a Cradle to Cradle certification. A terrific, informative post, guys. Thank you! A wonderful take on this critical subject. In my experience, however, non-wonks only seem to get it when it personally affects them, as in actual consumer usage and material savings (for example, as in my case, PG&E bills 80% lower than normal because of a solar grid). Here as in everything else, personalization is the key to liftoff on otherwise wonky intelligence.